Fri., 28 Jun. - Sat., 6 Jul. Thu., 5 Sep. - Wed., 11 Sep.
Wed., 25 Dec. - Wed., 8 Jan.
Wed., 12 Jun. - Sun., 14 Jul. Wed., 5 Jun. - Wed., 3 Jul. See all 234 properties in Gander Intl. 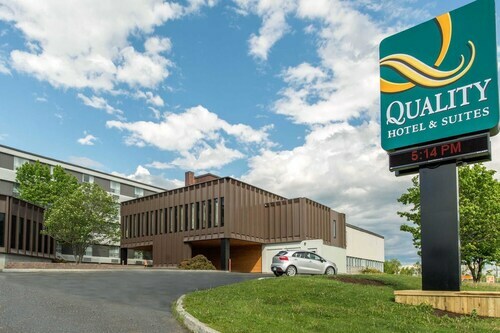 Situated near the airport, this hotel is within a 10-minute walk of Gander Winter Park and North Atlantic Aviation Museum. Arts and Culture Centre - Gander and Gander Golf Club are also within 1 mi (2 km). Situated in Gander, this hotel is within a 5-minute walk of Gander Winter Park and North Atlantic Aviation Museum. Gander Golf Club and Arts and Culture Centre - Gander are also within 1 mi (2 km). Located in the heart of Gander, this hotel is within a 5-minute walk of Gander Winter Park and North Atlantic Aviation Museum. Gander Golf Club and Arts and Culture Centre - Gander are also within 1 mi (2 km). 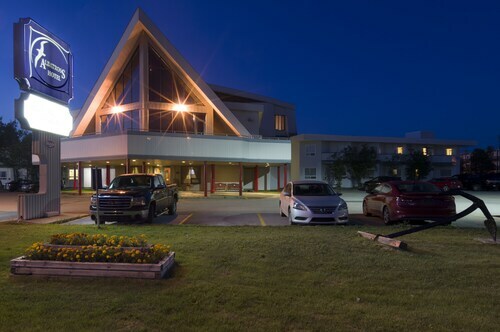 Situated in Gander, this hotel is within 1 mi (2 km) of Arts and Culture Centre - Gander and Gander Winter Park. North Atlantic Aviation Museum and Thomas Howe Demonstration Forest Site are also within 2 mi (3 km). 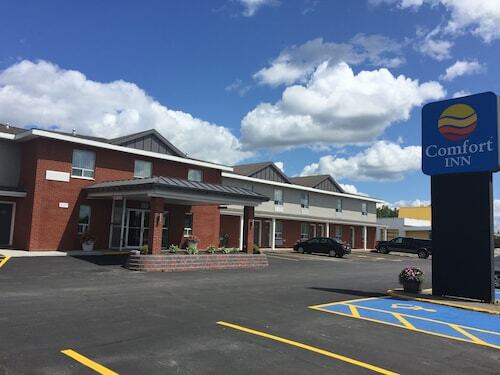 Situated in Grand Falls - Windsor, this hotel is 3 mi (4.8 km) from Loggers' Life Provincial Museum and within 6 mi (10 km) of Joe Byrne Memorial Stadium and Goodyear Park. Mary March Provincial Museum and Gordon Pinsent Centre for the Arts are also within 6 mi (10 km). This motel is in Botwood. 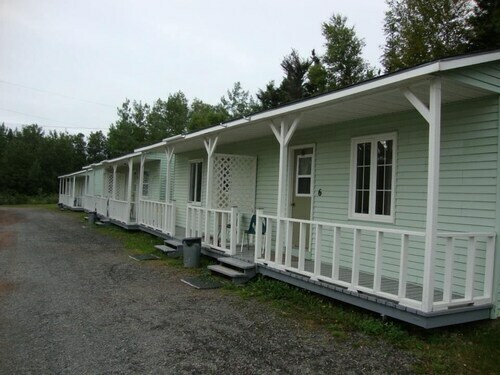 Nestled on the beach, this Port Blandford hotel is within 25 mi (40 km) of Bare Mountain Loop Trail, Clarenville Marina, and Terra Nova National Park. White Hills Resort and Splash 'n' Putt are also within 32 mi (52 km). Nestled on the beach, this Port Blandford chalet is within 25 mi (40 km) of Bare Mountain Loop Trail, Clarenville Marina, and Terra Nova National Park. White Hills Resort and Splash 'n' Putt are also within 32 mi (52 km).